1. I believe grief is a process that involves a lot of time, energy and determination I won't "get over it" in a hurry, so don't rush me! 2. I believe grief is intensely personal This is my grief. Don't tell me how I should be doing it. Don't tell me what's right or wrong. I'm doing it my way, in my time. 3. I believe grief is affecting me in many ways. I am being affected spiritually, physically, emotionally, socially and mentally. If I'm not acting like my old self, it's because I'm not my old self and some days I don't understand myself. 4. I believe I will be affected in some way by this loss for the rest of my life As I get older, I will have new insights into what this death means to me. My loved one will continue to be part of my life and influence me until the day I die. 5. I believe I am being changed by this process. I see life differently. Some things that were once important to me aren't any more. There are some things I used to pay little or no attention to that are now important. I think a new me is emerging, so don't be surprised and don't stand in the way. The following range of reactions are often experienced by bereaved persons. These emotions come in no specific order and an individual may have one feeling one moment and a different the next. 1. Shock or disbelief may interfere with decision making or provide a "cushion" allowing you to operate on automatic pilot. 2. You might feel numb or overwhelmed. 3. Sorrow and intense sadness may leave you wondering if you will ever feel happy or content again. 4. As you question your role in what happened you may feel guilty or to blame, a normal reaction in a society that tells us we can control our lives. 5. You may feel vulnerable and defenseless, wondering "why me?" or "what next?" 6. At times you may feel "crazy" or totally out of control. 7. You may feel relieved, that the worst is behind you, and experience few regrets and little grief. 8. Anger is a normal reaction. You may be angry at your care-provider, yourself, your partner, or even God. 9. Feeling down, "blue", joyless, tired and listless, or withdrawn are symptoms of depression associated with loss and grieving. These feelings are normal but suicidal feelings are not. Please contact your mental health agency if you or a loved one have suicidal thoughts or feel you may harm yourself or others. Experts in the field of bereavement believe that grief is best dealt with by acknowledging your feelings, expressing them, and working through them over time. Find a strong and loving support system. Take encouragement from others by reading about how they coped and made it Find others who have been there and who understand. Recognize that your partner, family or friends may grieve differently. Each person is unique. Ask for help when you need it. Everyone needs guidance or assistance from time to time. Don't feel you must do this alone. Let a little sunshine and humor in your life. Be good to yourself. Celebrate your accomplishments. Take good physical care of yourself, get plenty of rest, moderate exercise and eat healthy. Cherish the memories of your life with your loved one. Those memories will sustain you over time and are an important key to healing.Be willing to experience the pain and the feelings rather than trying to avoid them. Be kind to yourself by not placing high demands or expectations on yourself. Mother's Day and Father's Day - two holidays which parents often anticipate with great joy. Days designated to celebrate the special relationship between parents and children. For those who have lost a child, these dates can be filled with painful reminders of the child who is not there to share the day with them. As these dates draw nearer, many bereaved parents find themselves filled with anxiety as they contemplate how they will get through another holiday. Like many other holidays, parents find themselves having to watch others who are enjoying the festivities of the day. Those who have lost their only child question whether or not they are still parents. Often times they are not recognized as parents by others on these special days. 1. 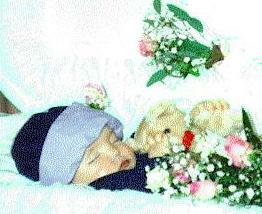 Light a special candle or buy a special flower in memory of your child. 2. Consider changing or adding a tradition to that day. If you always have your family over, make plans to go out for dinner. Take a day trip and plan a picnic. 3. Some people find it comforting to visit the child's grave. 4. Do something special for yourself. Treat yourself to a movie. Start reading a book you've always wanted to read. 1. Since it is often difficult to find an appropriate card, make a card for the parent letting them know that you remember they are still a mother or father to the child that has died. 2. Don't ignore the situation. Allow parents and other family members the opportunity to talk about their feelings. Siblings are the forgotten grievers. All of them have feelings. They feel pain after the death of their brother or sister. ANGER: Siblings may be angry about some of the things they did or said to their brother/sister before they died. JEALOUSY: Siblings may feel jealous of their brother/sister who has died, as in the eyes of the parents, their child "did no wrong". Siblings know they can not turn back the clock, but by sharing their feelings with other siblings, they can learn how to return to living a more normal life. Grief is a long slow process and it's affects last a lifetime. "Grief goes on for several years...you will always miss your child. The pain lessens and you learn to cope," says Gerri Jablonowski, Co-ordingator for Bereavedd Familes on Ontario Brant Chapter. "People should never tell a grieving parent that they should feel better now that a year has gone by." Occasionally something will cause a bereaved parent to start to cry several years after their child's death. "Don't be afraid of crying," says Jablonowski. "No matter how long its been." Often friends and family withdraw from the couple after the funeral of their child, says Jablonowski. "Family and friends are the ones who abandon you in many instances," she says. "Often the onus is on the bereaved parents to make the first move." Friends and relatives should not let their own sense of helplessness keep them from reaching out to the bereaved parent or avoid the bereaved parent because they feel uncomfortable. "If you don't know what to say...don't say anything at all," says Jablonowski. "Often just having someone there to listen helps." People are enouraged to talk to bereaved parents about their child and not be afraid that mentioning the child's name will cause pain. "Bereaved parents like to know their child is not forgotten," says Jablonowski. With 18 chapters in Ontario Bereaved Families offers a variety of support mechanisms to parents and siblings after the death of a child. "Everyone's grief is unique," says Jablonowski. More Articles: Information to assist those wanting to support bereaved parents. Trying to go on after Geordi's death may be the most difficult thing Paul and Liz have ever had to do..but with some help they have. "You can't live in the past," says Liz who contacted Bereaved Families of Ontario a couple of weeks after Geordi's death. "We had to acknowledge her death and try to cope." Paul says some of his family had difficulties when Geordi was in intensive care after she was born so he had decided not to tell them she was in the hospital. "We were optimistic until the end," he says. "We thought she was going to make it." The shock expressed by relatives never impacted once on him, says Paul. "My concerns were not for how other people were upon hearing about Geordi's death...only for my wife," he says. "Everything didn't seem real," Liz adds. "Our lives were so empty so suddenly." While he made preliminary arrangements for his daughter's funeral, Paul says the only words to describe how he felt was numb. "I didn't care about anything...except Liz," he says. When the couple returned home from Toronto Sick Children's Hospital the first thing Paul did was place a lock of Geordi's hair and a picture of her into a locket for Liz. "Liz had been saying that she would like to have Geordi and me in her locket and since the lock of hair was the only thing of Geordi we were able to bring home...it felt appropriate to put her hair with her picture," says Paul. "The next thing I did was to take down the playpen because it was very prominent in our living room." There is always a sense of guilt in grief. Bereaved parents often think of many things they felt they should have done but didn't. They may also accuse themselves of negligence such as Liz did. "I felt I didn't do enough...that I should have done more," she says. "She trusted me and I had let her down...I felt like I was a failure as a mother." At times Liz says she felt that Geordi had given up the will to live because Liz was not at her daughter's side. "I just knew this was a mistake...she wasn't supposed to die," Liz says. "Geordi was meant to grow up with us. It shouldn't have happened...I shouldn't have lost her." When depression hit, Liz felt like she had nothing more to live for and urged her husband to leave her. "Paul was never happier than when he was with Geordi," she says. "She was our miracle baby, the child we didn't think we could have...when she died there was no reason for him to stay...I just wanted to scrap my marriage so he could find someone else and be happy." Despite Liz's pleas to leave her, Paul refused to abandon her. "I tried to ignore it and didn't take her seriously," he says. The shock of hearing that Geordi had died left many of Paul's relatives unable to be at his side to comfort him. Liz says that having her family at her side while the majority of Paul's including his mother stayed away created additional grief for her. "I felt I had cost him Geordi because she had my heart...and I cost him his family," she says. "Really to me it didn't matter whether they were with me or not," says Paul who added his older brother and his wife were with him 24 hours after hearing of Geordi's death. "Liz was more bothered by it than I was." For Paul the moments and days after his daughter's death were a blur. "He fell apart worse than I did," Liz says recalling watching her husband and his oldest and youngest brother sobbing in a group hug the day after Geordi died. "We would have been lost without the support from my oldest and youngest brother, my father and Liz's mother," says Paul. Sympathy cards soon flooded in and Liz found herself angry at seeing the words "time heals all wounds" and "life goes on" written by relatives hoping the words would comfort. "What life is this...its not life," says Liz. Among the cards, some of the more touching comments came from friends who had similar experiences. We remember Geordi as a happy little girl who never seemed to cry or complain. She seemed so content. I remember one time in the church nursery when Nicole tried to touch Geordi and play with her...almost pushing her over, Geordi looked somewhat surprised...but she seemed happy. Liz and Pau, we have never experienced the pain of losing a child but we have experienced the pain of losing children through miscarriage. We remember how important it was to discuss the child and to re-live the memories again and again...please know that we are hear for you. I read a quote that I'd like to share with you - children only die when they are forgotten...we remember. We firmly believe this and you can be sure we will not forget Geordi. We're sure Geordi has touched many lives - she touched ours." Arriving at the funeral home both parents were stunned to find several flowers addressed in sympathy to one of Paul's relatives. "Any flowers to an individual other than the grieving parents should be sent to the individual...not the funeral home," says Paul. "I don't think it is appropriate to send flowers to anyone other than the parents at their child's funeral." One of Paul's relatives commented on the couple's strength by saying that if she had lost a child she would have "just died" also fueled Liz's anger. "It isn't true...you don't die when your child does...the horror of it is you are going to live," she says. "The second your child dies is when your pain really begins." Having given some of the flower arrangements from Geordi's funeral to Sick Children's Hospital, Paul and Liz found themselves donating many of Geordi's toys to her paediatrician's office and their church nursery. "We gave a lot of her clothes away to friends and relatives," Liz says. "We hung onto a couple of pieces of clothing and toys as momentos...but that is about it." "Most of the things we gave away didn't have a lot of emotional baggage attached to them," says Paul. Used to seeing his daughter's face light up when he got home from work, Paul says adjusting to knowing Geordi wasn't going to be there when he opened the door was difficult. "Some days it was hard," he says. "Some days it was just like any other day." A month after Geordi had died, Paul and Liz noticed his family members seemed extremely uncomfortable in their presence and withdrew from them. Paul recalls one family member telling him she felt she couldn't talk to him out of fear of saying something which would have destroyed their relationship. "It was a pretty weak reason," he says. The couple found that Bereaved Families of Ontario offered an environment where they felt able to talk about their daughter without uncomfortable silence. "After a while it felt like no one wanted to let us talk about Geordi, Paul's family treated us like we were a broken record...what they didn't realize is we have broken hearts," says Liz. "The ability to sit and talk helps...unfortunately those who have let us talk the most are individuals who have also experienced the death or a child. Paul and Liz found friends and medical professionals who had seen Geordi on a regualr basis had more understanding on Geordi's physical condition and were more sympathetic to the couple's grief. "I was amazed at how many friends continue to talk about her..it makes me feel good she touched so many lives," says Liz. Almost six months after Geordi's death, Paul and Liz had to deal with various forms of insensitivity from relatives who felt the couple should have "gotten over" their loss. Paul says indirectly family members told him that the couple's feelings didn't matter. "Now they don't matter," he says. After a year's time Liz says she prefers not to renew contact with some family members. "The messages we received suggested that we got what we deserved or if we didn't have her we wouldn't have gone through this pain. I don't mind being abandoned by people who didn't care." Support from Bereaved Families of Ontario came at some of the more difficult times during the first year says Liz. "Her birthday, the first Christmas without her was extremely difficult," she says. "There are times you feel bummed out and think...I want to cry...but that's okay." Despite Geordi's absence in their lives, Paul and Liz say neither one has problems being around children, especially happy ones because it reminds them of their daughter. Liz adds that every time a child is born to someone she knows another toy saved as a memento goes to the family. "You want to know that your child has had as much impact as possible," she says. "I like to spread Geordi's memory around as much as I can." Liz says that despite their grief, she feels that she and Paul are lucky. "Some marriages have fallen apart, some people can't function...they've lost their life...and this grief last a lifetime," says Liz. "It took a long time for me to realize that Geordi wouldn't want us to stop living...but I need a reason to go on...so if I can help someone else through my loss...it helps." Sam's Angel Space: Remembering and honoring still born son Aiden. Page contains pictures, poetry, quotes and links. In Memory of Michelle: A page in memory of a young woman who died in a car accident created by her boyfriend. 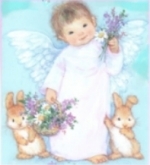 Sahara and her friends in Heaven: Add your child's memorial or homepage to the list of links. The site aims to be a support group with personal stories, poems, and links! In Memory of My Daughter - April Mayor: An inspirational page to 15-year-old April Mayor who died from heart problems. Keaton's Tribute Page: Written by his grandmother, this page honors the short life of Keaton Christopher Pittman who died after surgery to correct his hypoplastic left heart syndrome. Jason's Page: Jason Michael Upchurch was born with hypoplastic left heart syndrome and lived three days, this beautiful page written by Jason's father deals with the male perspective on loss and grief. Forever In Our Hearts: In memory of Benjamin Michael (April 30, 1987-May 1, 1987). 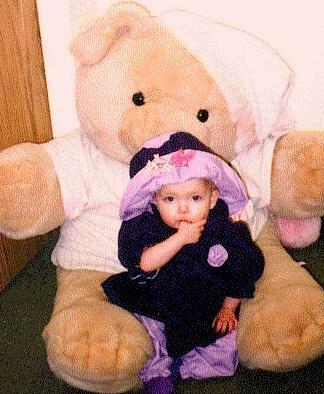 God's Lent Child: In memory of Kasey (February 19,1998-March 12, 1998) by her mom who hopes her story helps others. My Sweet Angel: Page is dedicated Jessica Katherine Kohane who was murdered July 2 of 1997.She was only 15 yrs old and her life was cut short for no reason. My Heavenly Sisters: A touching tribute by a woman who lost her three sisters in a house fire on March 25, 1977.